At the end of the production period, directors submit their films that are then judged by a panel of faculty and students. Finalist will have their films showcased at a red-carpet event on Feb. 18. CMF can be a learning experience for everyone because everyone’s outcome is different. Whether it’s to network with other filmmakers or to simply do it for fun, CMF welcomes each and every student’s experience. Any student, regardless of major, is eligible to submit content. CMF provides a number of basic usage training courses to students who are participating. This is a great opportunity for anyone that does not have a lot of experience with film but would like to be a part of CMF. By attending the informational session students can learn about the equipment and are welcome to ask any specific questions that they have. Students also have the chance to meet other and past contestants who may have more experience and are willing to help someone with less experienced. Alongside help with creating an original film, there are also prizes that students can win. The top four films will win the Jury Award, which will allow students to compete at nationals in the Grand Finale in June. Jury Award winners will also receive a one-year subscription to both Adobe Creative Cloud and Prime Student. They also have the chance to apply for the CMF at Cannes Program, which gives them the opportunity of adding their film to the Prime Video catalogue. CMF gives students the freedom to express themselves and their stories through the art of film. This isn’t just a film festival and it isn’t just about winning, but rather about giving students the opportunity to show off their skills. CMF will begin on Feb. 6 at 5 p.m. in the Reeves Theater and will continue til Feb. 15. 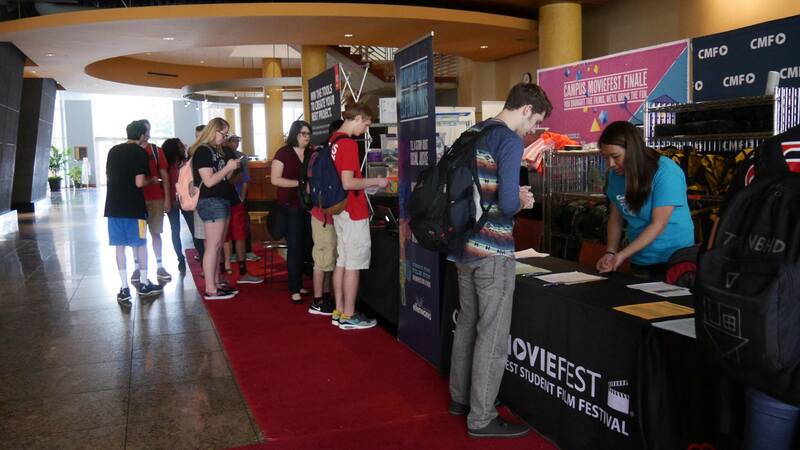 More information regarding the CMF organization can be found at http://www.campusmoviefest.com.